America surely must be the home to the classic road-trip. 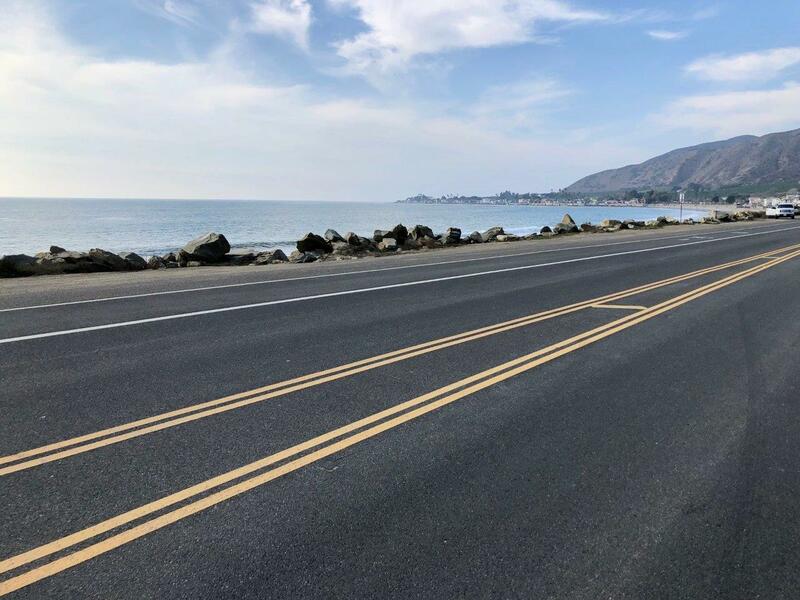 In a country of epic routes that pass through amazing landscapes and vibrant cities, I was to revisit a favourite – the California State Route 1; the iconic Pacific Coast Highway, writes Andrew Forbes. Leaving the airport terminal, I was greeted by the brilliant Californian winter sunshine. My American road-trip adventure was about to begin. Within a few minutes the bright yellow Hertz bus pulled up at the curb. Once the driver had helped us with our cases we were on our way to the rental centre. Earlier my phone had pinged with an email alert advising me where I could find my pre-booked car. I was eager to get on the road! 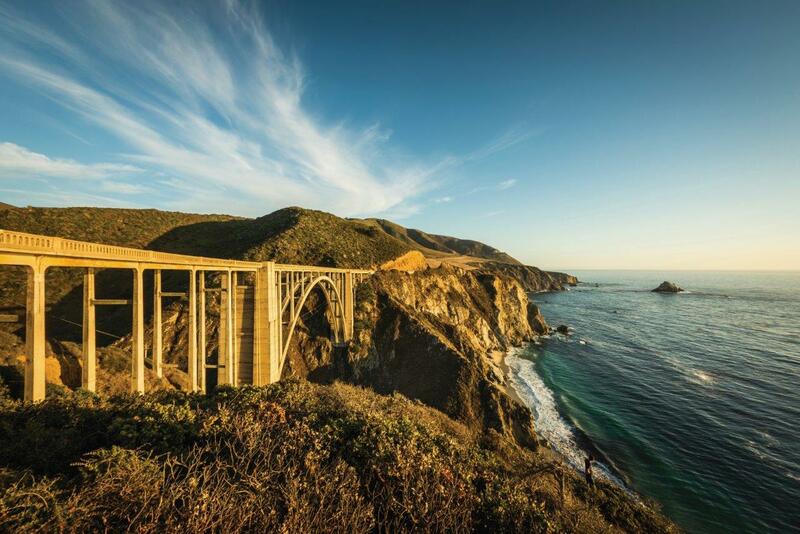 The Pacific Coast Highway is iconic and probably the most scenic in America. The highway runs some 1000 kilometres from the forests and mountains of northern California to the all-year warmth of San Diego. This remarkable route has been open since the 1930s – but everything was to change in 2017! Devastating landslides caused part of the highway in the southern part of Big Sur to be buried by falling earth and rock, cutting off rural communities and closing the route to traffic. Some eighteen months of demanding construction works were needed to rebuild the road and replace damaged bridges. Eventually in the autumn of 2018, route 1 reopened – so this was my motivation to experience this fabulous coast-hugging highway. The classic Pacific Coast Highway road-trip is best enjoyed southbound, so it makes sense to fly into San Francisco, and fly home from Los Angeles. This way (since you’ll be driving on the right) you be hugging the coast most of the way, enjoying clear views of the ocean. 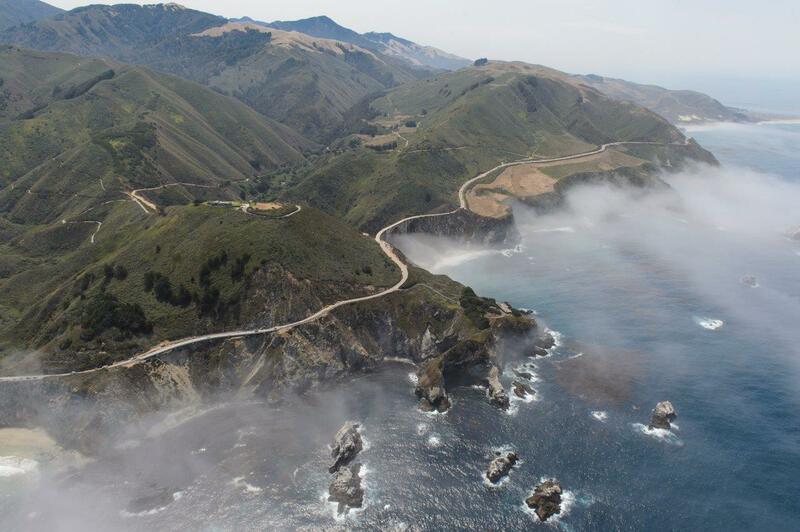 I was heading straight for Monterey County and Big Sur. 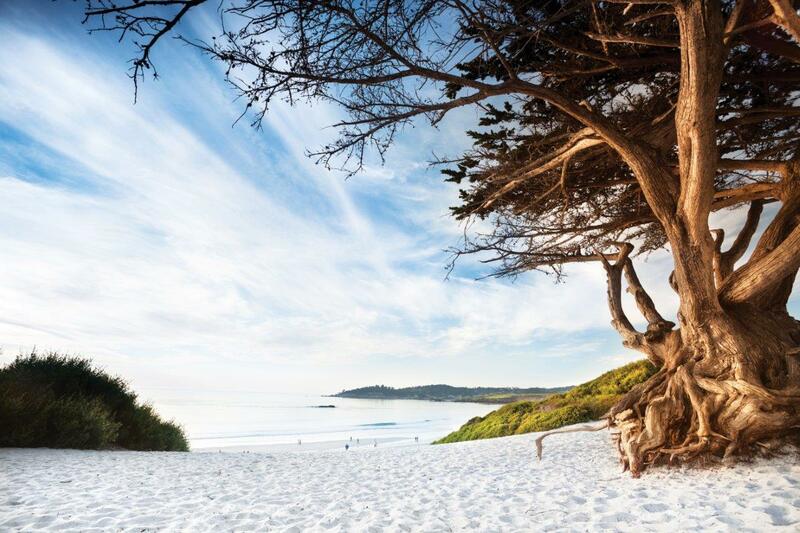 Once you reach the picturesque seaside community of Carmel-by-the-Sea, you know you’re entering one of California’s most beautiful wilderness areas, where mountains, meadows and redwood forests meet the Pacific ocean. I love driving in the US! Cars are always automatic and so easy to drive, and the roads are in great condition. South of Monterey, the Pacific Highway 1 is an uncrowded two-lane country road. It’s really just used by local residents and visitors like me enjoying a road trip. Within half an hour of leaving Carmel I reached the first of many iconic sights, the Bixby Creek Bridge. Here you might see sea lions or elephant seals on the beaches, and whales spouting out at sea. This is the start of the wild nature of Big Sur. Road-trips are all about fun and unplanned adventure. But sometimes renting a car abroad can be complex if you don’t do your homework. You could encounter frustrating delays at pickup and hidden charges at drop-off. I had been invited by Hertz UK to try their free ‘Gold Plus Rewards’ service. What a great idea! Collection of the car at the airport in California was easy. There was no need to visit the office or sign any papers. Everything was taken care of with the online booking. I just got in the vehicle, where the keys were waiting, and drove away. I simply needed to show my credit card and driver’s license at the exit to confirm my identity. It really made renting the car a stress-free start to the road trip. I have to admit to being a loyal Hertz client. In the long run I’ve found the all-inclusive prices to be fair and the service superior. I have frequently been upgraded; I feel confident about the roadside support and I’ve never had any unexpected hidden extras when I’ve dropped off a car. 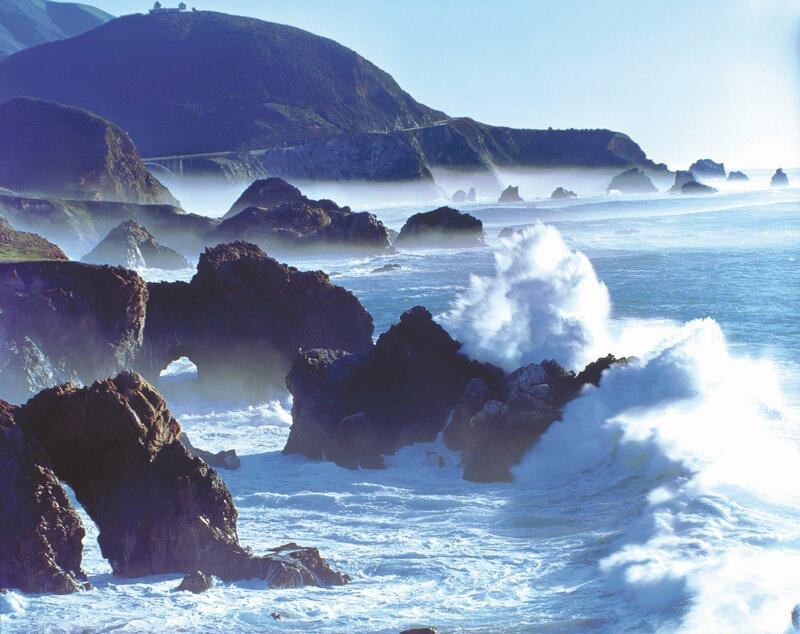 Big Sur is a vast area of wilderness, with a stunning coastline of almost 150 kilometres. It is about three hour’s drive south of San Francisco’s international airport, and amongst the most beautiful stretches of the Pacific Coast Highway. 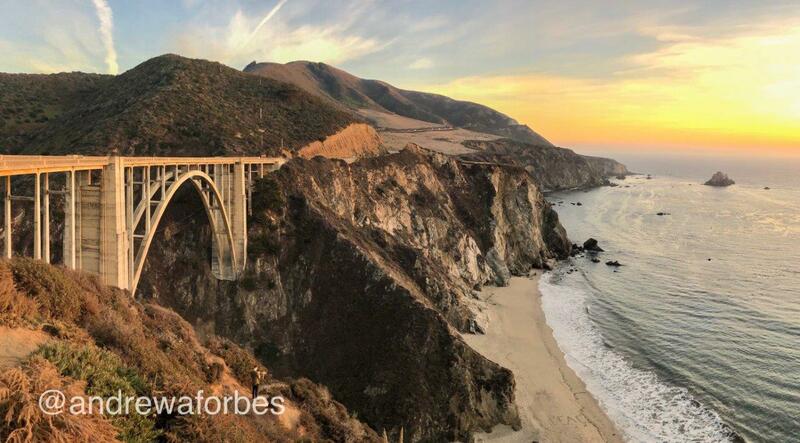 This part of California Highway 1 can be driven at a leisurely pace, so take you time to enjoy everything! 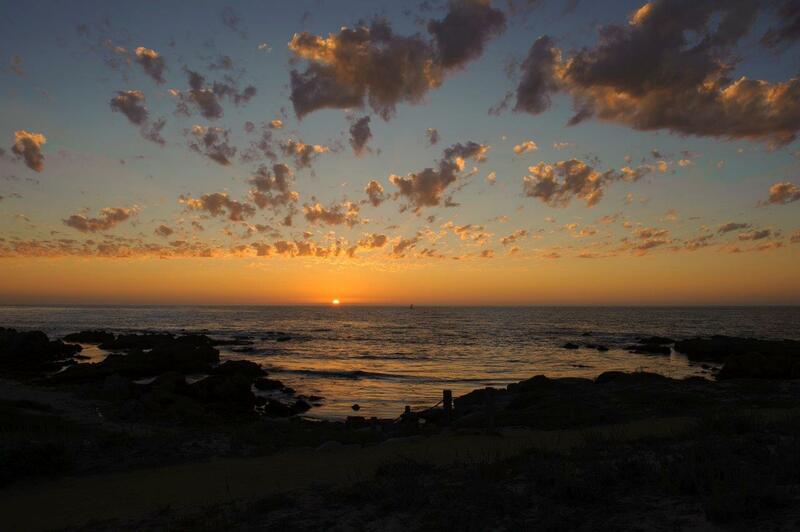 There a frequent opportunities to pull over, park and take photos and just be in the moment – enjoying the sound of the waves or the sight of a spectacular Monterey county sunset. 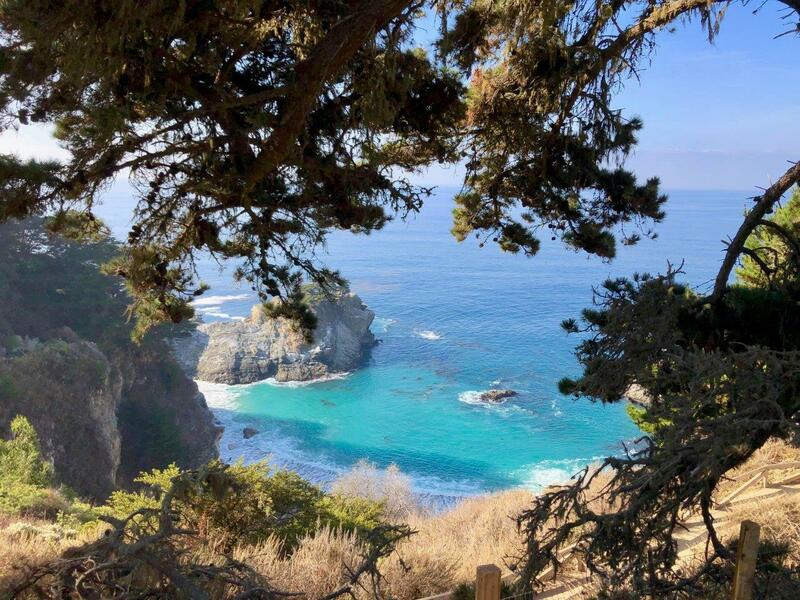 Big Sur was once known as the ‘el Sur Grande’ to the early Spanish settlers in Monterey, since it was such a vast, undiscovered area. The protected rugged coast remains an exceptional sight all these centuries later. 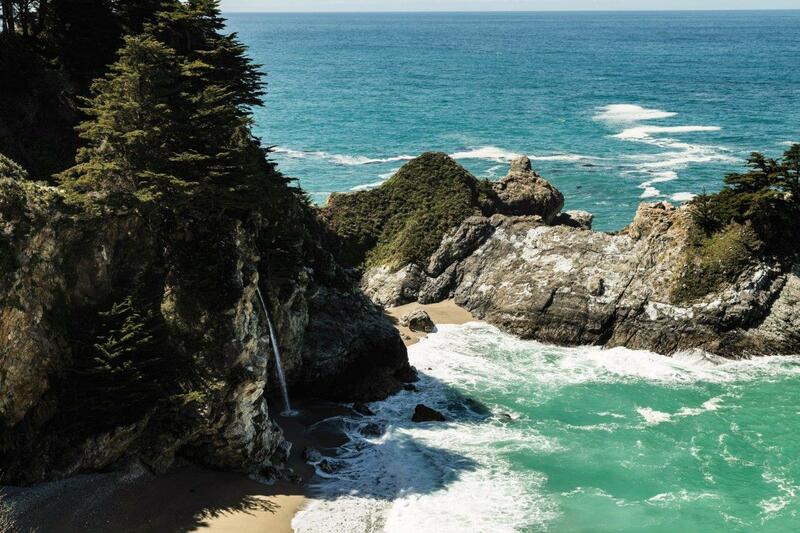 Take for example McWay Falls, where water tumbles 25 metres onto a pristine protected beach. It is a must to visit. The redwood forests are part of the unique identity of this area. Thankfully many very old trees in Big Sur escaped the threat of the logging industry thanks to the area’s historical inaccessibility. Within Pfeiffer Big Sur Park, one of the state parks that protect swathes of wilderness, I stopped off to walk to a tree that was as old as 800 years towering up to 90 metres – the Colony Tree. The great thing here is that many of the striking redwoods are accessible without the need to walk far. I was told that some are older than 1200 years with circumferences of 10 metres! There is no town to speak of in Big Sur. 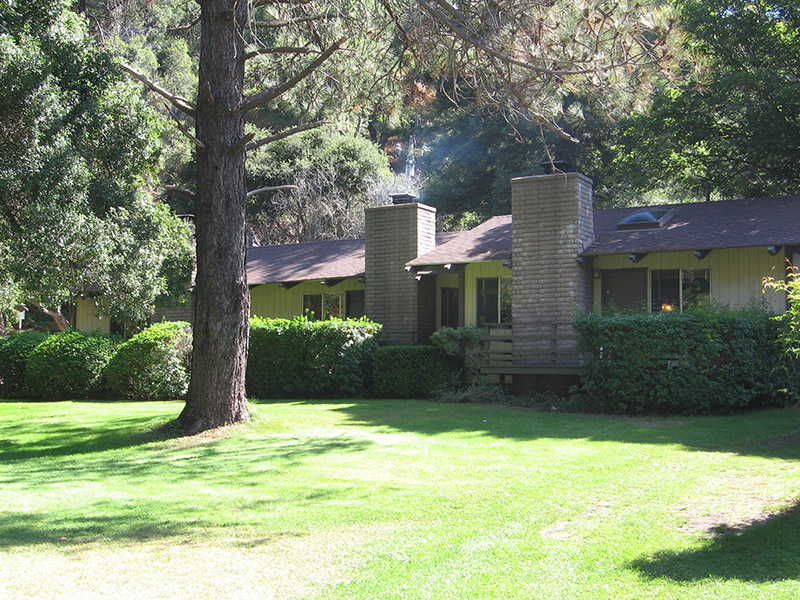 The Big Sur bakery café, built in the 1930s by the Post family, is a popular stop for visitors and residents. Enjoy an espresso or stay for a signature wood-fired pizza. Next door is a petrol filling station, so don’t miss the chance to fill up! Deetjen’s Big Sur Inn is a good place for dinner. This vintage traditional inn looks so appealing from the road, I just couldn’t not stop. I learnt that it was opened by Helmuth and Helen Deetjen to serve the wagons that used to pass through Big Sur in the last century. We booked a table for dinner. It was excellent. 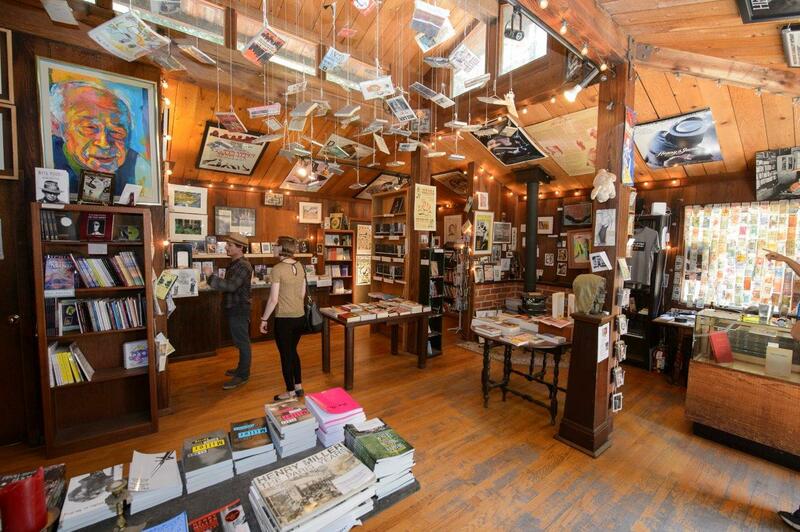 Generous home cooking served in a charming restaurant full of antiques and collectables. This wilderness area has a surprising number of luxurious lodges, attracting discerning clients from San Francisco, Los Angeles and well beyond. The Post Ranch Inn is a romantic hideaway with an exclusive reputation. 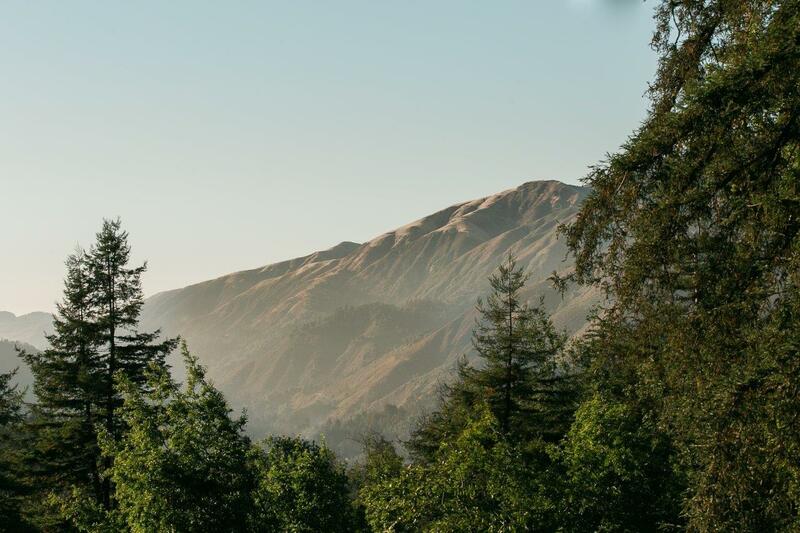 It was once the Post family’s working ranch, amongst the first homesteads established in the wild beauty of Big Sur. It’s now an upscale, environmentally responsible lodge, with rustic-luxe suites overlooking the ocean. The Sierra Mar restaurant is open to visitors for lunch and dinner. 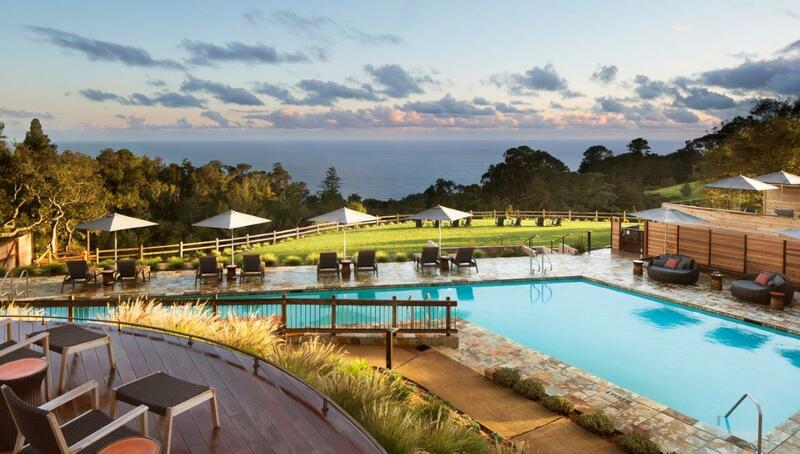 Ventana Big Sur is a more contemporary style lodge, with an elegant touch of Asian simplicity; a luxury spa; ocean-view pool; and destination dining at The Sur House. You can read my hotel Spotlight on Ventana Big Sur an Alila Resort here. 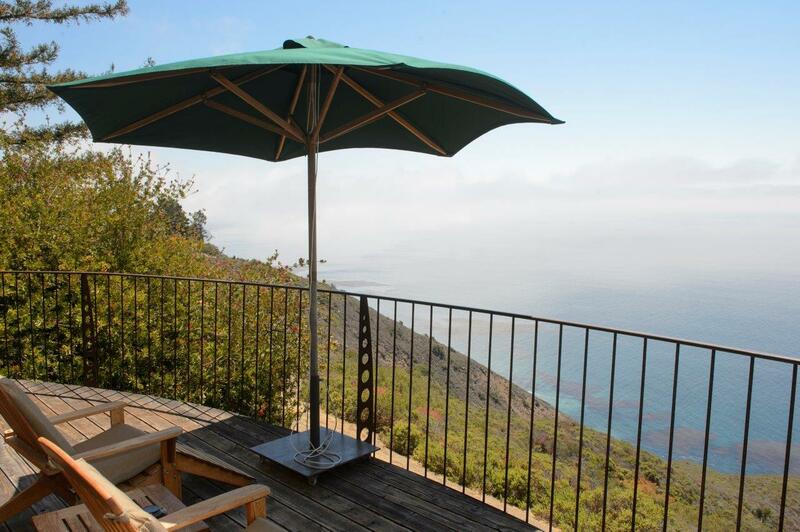 Yet for families and those loving the great outdoors I would really recommend The Big Sur Lodge. 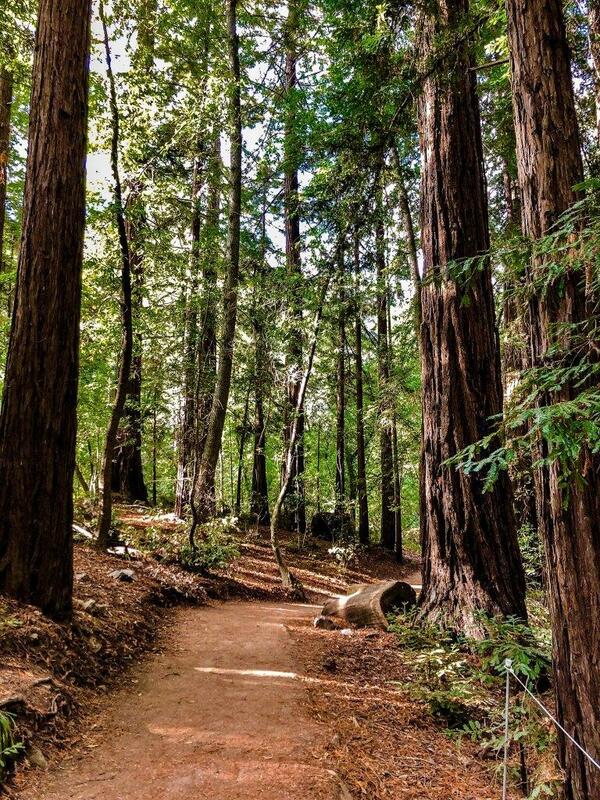 It set amongst magnificent redwoods, within the Pfeiffer Big Sur State Park. 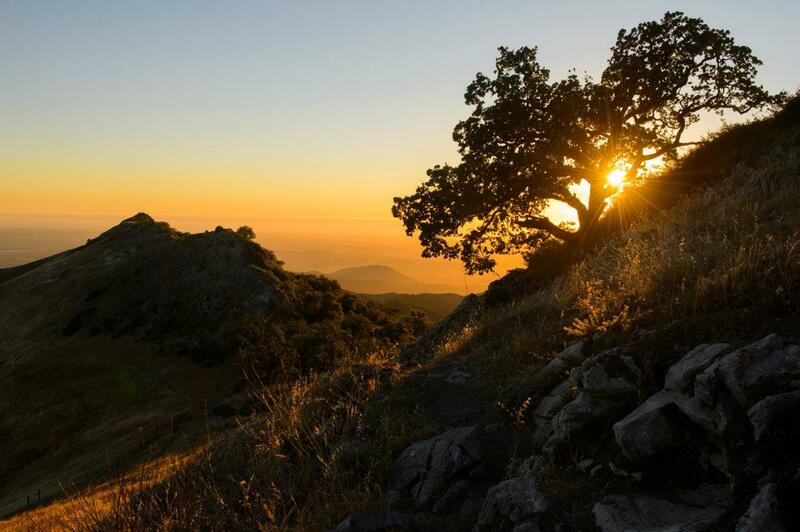 So, you truly feel embraced by the peace and tranquillity of these magnificent trees. This vintage lodge has 62 cottage-style accommodations. You can choose family rooms that can sleep up to four; self-catering cottages with kitchenettes; and romantic cottages with fireplaces. The cottages with fireplace and kitchen are just great. You can park up your rental car right outside. You have total independence having this little cottage – you can prepare you own breakfast, or sandwiches for a hike. There is an on-site store for supplies, firewood for the cottages (there is heating as well in winter); and also, a restaurant and coffee-shop. 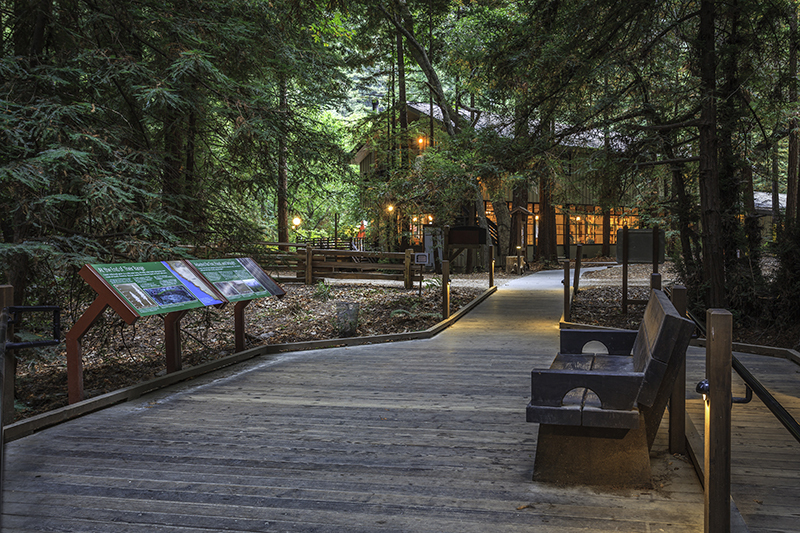 Many walking trails start right at the lodge; and as guests of the Big Sur Lodge one has unlimited car access to the park. So convenient to drive right into the park so you can start the trails right there surrounded by nature. 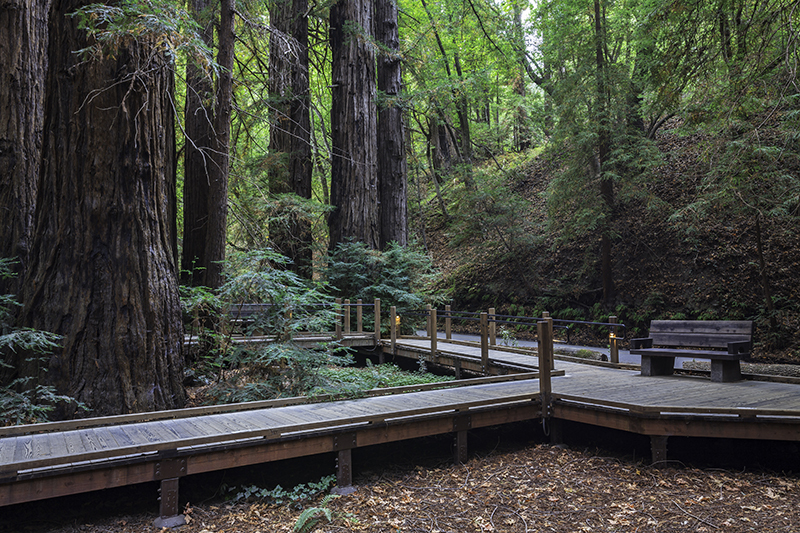 For those with limited mobility the Big Sur Lodge has cleverly created walkways and ramps around some ancient redwoods so everyone in the family can enjoy these amazing trees. It is a beautiful place. Interestingly these towering coastal redwoods, amongst the tallest trees in the world, are remarkable not only for their height and size, but also how absorb noises within the forest. The thick fire-retardant bark of each tree seems to silence any echoes, and to dampen the sounds of footsteps, voices, and wildlife. 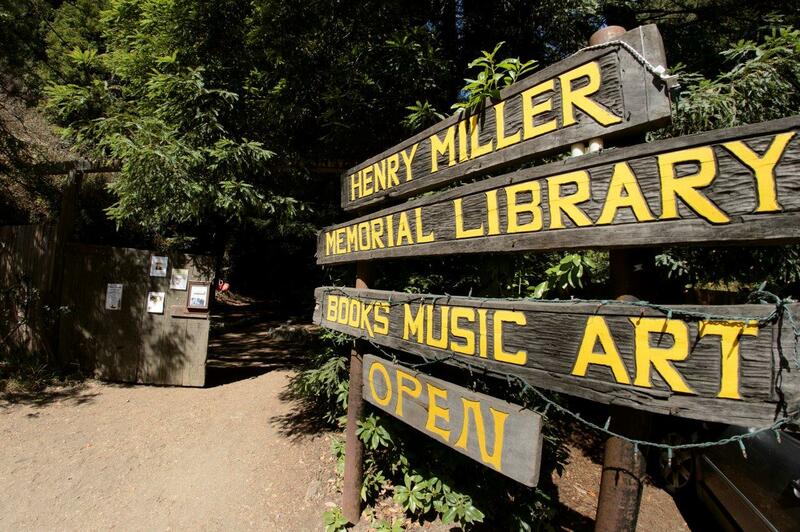 Not far from the Big Sur bakery is the Henry Miller Library is a cultural centre that also celebrates the life and works of the American NYC author that made Big Sur his home in later life. It makes for an interesting cultural stop of the road-trip. Beyond Big Sur the Pacific Coast Highway continues south towards Santa Barbara. You can read my Eat Do Sleep guide to Santa Barbara, the American Riviera here. 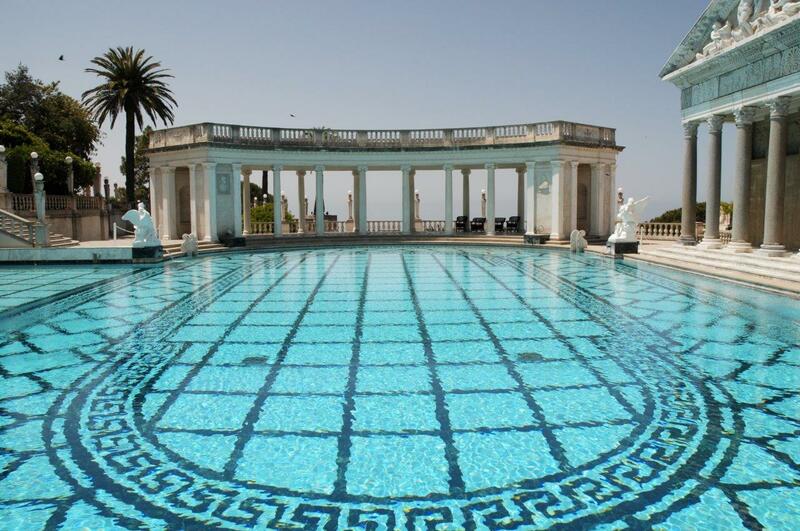 On way south I relaly recommend stopping off at Hearst Castle. So often road-trippers pass it by either heading north or south. But if you do, you’ll be missing out! You can park your car at the visitors’ centre, where you can buy your ticket. If you are visiting at a busier time of year it is best reserve your ticket ahead of time as the tickets are timed. Then you take the shuttle up the ‘enchanted’ hill to the castle and start your tour. It is so good! 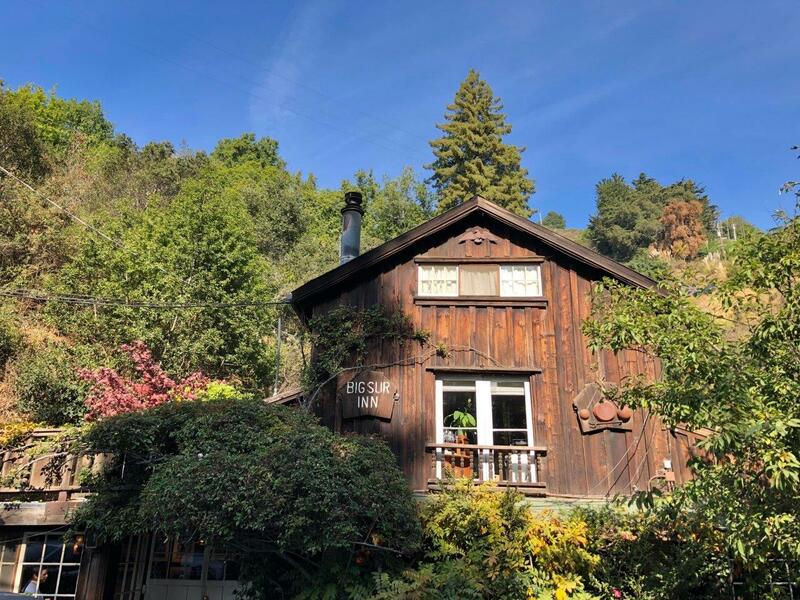 Be wowed by the story-telling of the guides as you explore this remarkable historic home, built on an ‘enchanted hill’ high above San Simeon, at the very south of Big Sur. 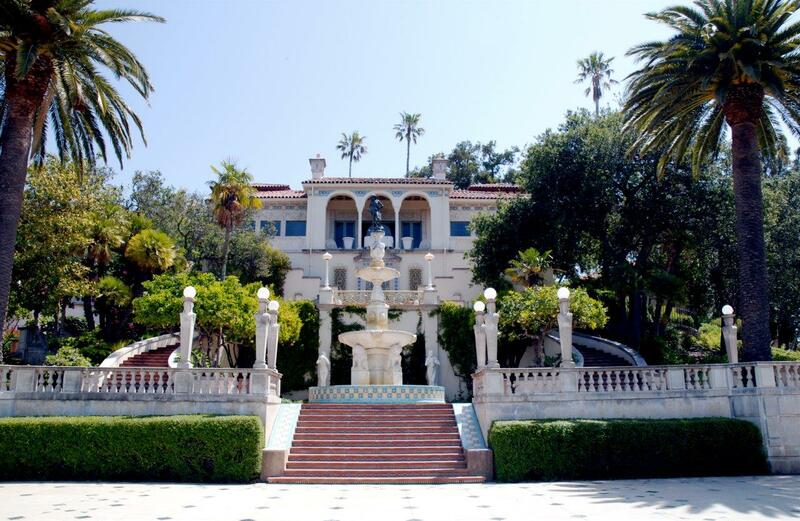 Media mogul William Randolph Hearst’s fantastical, extravagant estate of Spanish/Mediterranean architecture (the bell towers were modelled on Ronda Cathedral, in Andalusia) was once surrounded by one of the world’s largest private zoos. The ‘Casa Grande’ was the setting for some of the most talked-about parties of the era, hosted by Hearst and his twenty-something show-girl and actress mistress, Marion Davies. Famous guests included politicians, journalists, entertainers and sportspeople – think Winston Churchill, George Bernard Shaw, Charlie Chaplin, Joan Crawford, Greta Garbo, and Clark Gable. 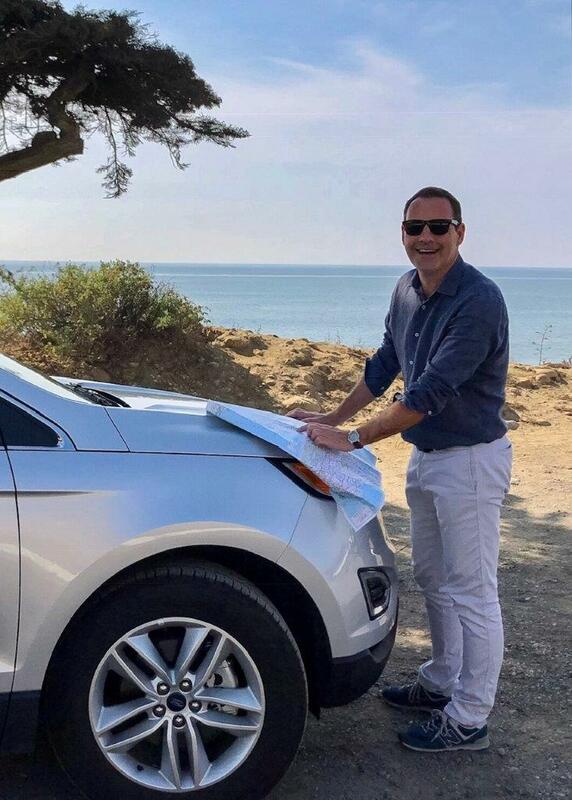 My trip to Big Sur was supported by See Monterey – visit their website for travel inspiration and up-to-date information on the this wonderful part of California. I travelled along California’s scenic Pacific Coast Highway with a hire car provided by Hertz and booked through the Hertz UK website. I joined Hertz UK’s free ‘Gold Plus Rewards’ service that offered reward points, as well as fast pick-up and returns – superb service.